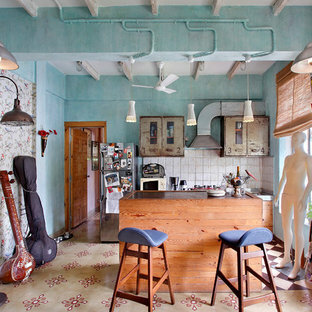 The warmest space in most Indian homes is the kitchen — literally and figuratively. This is where you spend most of your time cooking, sharing meals and entertaining. Hence, it is really important that your kitchen design is the perfect balance of style, functionality and your personality. 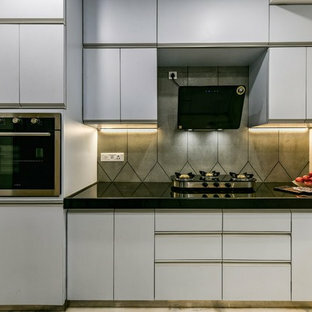 You can achieve this balance even in small spaces or with simple kitchen designs by planning the layout carefully and ensuring the crucial components, like the refrigerator, sink and stove, are placed strategically. Several other changes like the placement of kitchen decorations can be made during a renovation to meet your needs. Take a look at beautifully designed kitchen images for inspiration. While exploring kitchen ideas there are some things to keep in mind. Browse and save kitchen photos with ideas that are similar to the layout of your current space. This will help in the arrangement of larger appliances. Also, Indian kitchens contain a variety of appliances, pots, pans and utensils so be sure to look for photos with kitchen storage ideas. How do I plan my kitchen layout? 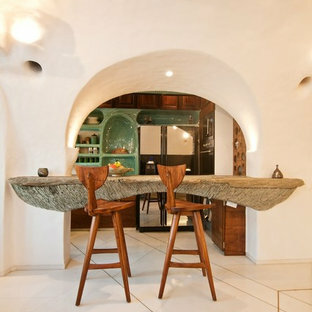 If you are thinking of a kitchen renovation project focus on the layout. 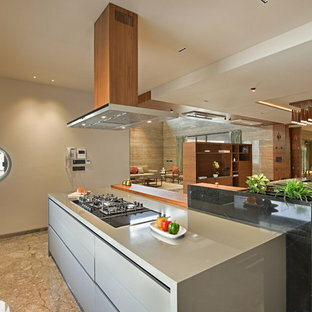 It is crucial as it helps in planning the kitchen storage and interiors. 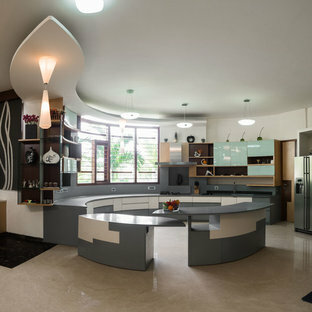 Even if you opt for a modular kitchen you can choose from a variety of kitchen design ideas. U-shaped, galley or single wall layouts are great options for tight spaces. You can have cabinets on both sides to maximize storage space or place a breakfast bench on one side. L-Shaped layouts work well for larger spaces, providing a lot of room for a central island, cabinets and large countertops. Another kitchen design idea to think about is the golden triangle – where the refrigerator, stove, and sink are arranged in a triangle formation, no more than 2.7 metres apart. Reviewing kitchen pictures will help in visualizing these tips. How do I maximise kitchen storage? No matter the size of your kitchen, you always need extra storage. 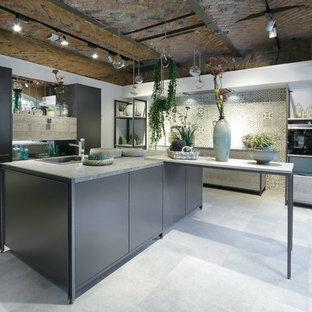 If you have a small kitchen design,vertical cabinets will help maximise the space from floor-to-ceiling. 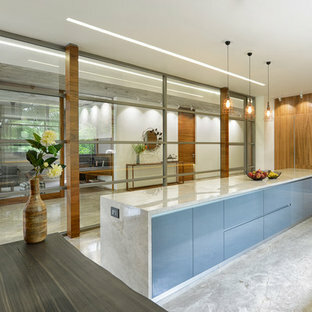 Open kitchens create an illusion of space and utilize floor area well. Kitchen accessories, like baskets, pull out trays and hanging pot holders, are good solutions and aesthetically pleasing. Overall, the aim of kitchen organization is to have clutter free countertops. Clutter free countertops provide ample room for meal preps and act as a serving spot too. What materials and finishes should I use for my kitchen design? The style of your home will determine the kitchen interior. Pick a colour scheme to work around. While monochromes schemes are very common, try contrasting colours and textures. Use quartz and granite for elegant yet simple finish. You can experiment with the kitchen flooring by using terracotta tiles to create patterns or laminate flooring to create a hardwood look. 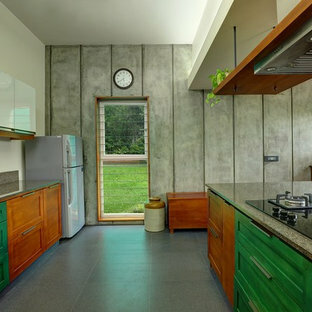 The kitchen cabinets are perfect to experiment and play with colours. Try to incorporate pastel coloured cabinet doors to create a warm look or use coloured glossy textures to give the kitchen shiny contrast style. What kind of kitchen decor should I use? Kitchen decorations should be functional and help add a good vibe to the room. 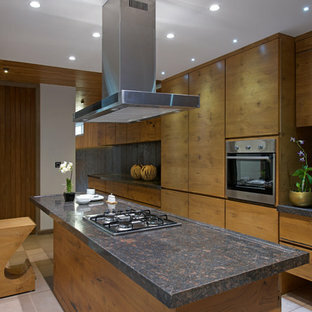 An aesthetically appealing kitchen will help set the mood while entertaining. Table runners, mats, flowers in bright yellow and turquoise blue will add cheer to your kitchen. The most functional kitchen decoration idea is a chalkboard; it is a fun way to plan meals and jot down grocery lists. Another recommendation is to have a small herb garden or succulent arrangement against kitchen window to lighten up the space. While looking for kitchen idea inspiration don’t forget to keep the in mind the kitchen layout, storage, finishes and decor must all represent the style of the room. 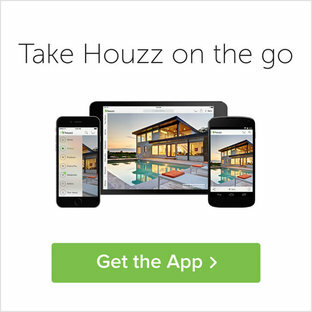 Also, browse through photos and other decor ideas for the rest of your home on Houzz. A galley kitchen with a dual tone blue and beige combination features a letter box window opening to the kitchen garden. By Peter Rose Architecture + Interiors Inc.